If your credit card awards points for usage, it might be worth your while to consider using them on a Christmas gift or two. True, the goods you can buy with these points are often overpriced, but if you’re like me, you might not have another plan for your points anyway. Before you do redeem credit cards rewards points, though, check out this article on the 6 Worst Ways to Use Credit Card Rewards. Shopping for sales is a no-brainer, but there’s more to sales than just the discount racks. Sign up for the email list of any store that you might be remotely interested in. I have signed up for emails from several of my favorite clothing retailers and wouldn’t dream of buying anything for less than 25% off (you could argue that their prices are marked up 25% or more regularly, but it’s still better than paying full price). If the thought of having hundreds of spam-like emails in your inbox sounds distasteful, you can open a designated email account specifically for offers like these. In addition to signing up for retailers’ emails, you could also try searching for coupon codes prior to checking out of a retail site. Just go to your favorite search engine and type in the store’s name + coupon codes to see if you can score a deal that way. Similarly, if you have a specific gift in mind, try a comparison-shopping website like NexTag, Bizrate, or PriceGrabber. No, I’m not suggesting that you knit sweaters as Christmas gifts (unless you actually are talented at knitting and have some sort of fashion sense). Making a Christmas gift that is appreciated and used requires some creative thinking and knowledge of the recipient. Have a friend who loves her dog? Consider personalizing ceramic dog bowls with her pet’s name. Does your friend love accessories? Your local craft store will have all the supplies to make her an awesome headband, bracelet, or earrings. Love cooking? Put together a gift basket with a theme. A little thought could produce a pretty awesome gift while also saving you money. Although some people are wary of used and refurbished items, they are a great choice when you can’t afford the item new. If your mom loves cashmere sweaters, but you can’t afford to buy one at full price, it might be worthwhile to search for the item on eBay. If you want to buy your boyfriend an iPod, try purchasing a refurbished one. You can find refurbished iPods, iPads, MacBooks, and more on the Apple Store website, and they all carry a one-year warranty. Other retailers offer significant discounts on refurbished products as well, and reputable retailers will offer the same return policy as with new purchases. Now that you’re armed with tips to save money for Christmas this year, get shopping! And if you have any tips for how you have saved money on Christmas shopping, please share. I love PriceBlink as a way to save money when I'm shopping. It instantly tells me if I've found the lowest price and if I haven't, it shows me where I can find lower prices. It's a tool bar add-on and it's visible while I'm shopping and hidden when I'm not. The best thing is that it also includes shipping charges, user reviews, and coupons. It's going to be great to have when I start Christmas shopping! Great article - can't beleive we're already at this time of year. I think your advice of buying used/refurbished is great, but I also would recommend comparing the used price versus the new price after a deep discount (especially for older model iPods, etc.) because the warranty, return policy, 'newness' factor might be worth the few extra bucks to get a new item..
Good point, Moneysaurus -- you also can't get refurbished iPods engraved or gift-wrapped, if either of those things really matter to you. That said, I've been using a refurbished iPod Nano for the last year, and I love it! It arrived looking completely new, and I've never had any problems with it. I'm old enough to remember Christmas Clubs. Even though banks discontinued practice decades ago it was a valuable lesson. I have always had my "gift" fund as part of my savings account at local bank. I put away money every month for holidays, birthdays and estimate "other" occasions that may pop up the following year. I withdraw the money in October for Christmas so I can then shop with cash. If the recipient wants to return gift, they can get cash back and not a "due" bill. Another tip -- for decorations -- I shop my own house. The stores look great at the holidays but I just use it for decorating ideas. I look for ideas/trends, then go through all my stuff. Last Christmas I decorated with what I had. I only needed a few decorative items such as candles, placemats, napkins, etc. Not expensive, no guilt/stress and the house looked fine. Informative article. I think that the best approach is to make your own gifts buying items from the 99 cent store. Can't beat it! 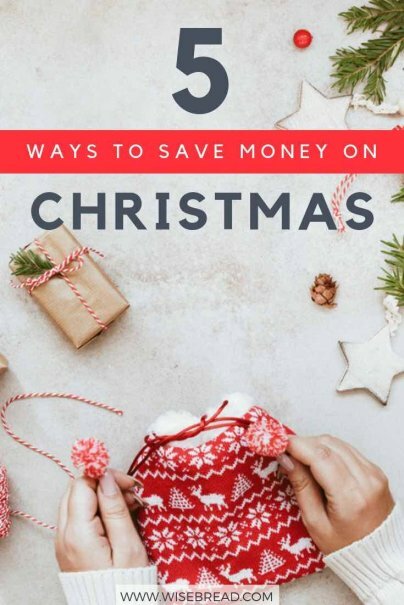 Our favorite ways to save for the Holidays are to make our own and look for great deals either in the stores or, even thrift stores. One year we only had $20 for christmas gifts, and we made treasure boxes for my little brothers for only $2 each (using fence boards and felt we already had), a cute apron for my baby sister using muslin, and were able to find wonderful treasures at a local thrift store. That experience changed how we approached Christmas gifts. gifts in a jar are also an inexpensive way to give thoughtful and fun Christmas gifts, and they are so easy and fun to put together as a family event. No sew blankets are also fun. I love the idea of stashing away a little money each month in an ING account. I try to budget out how much we are going to spend for each family member and divide that out by 12 and stash that away each month. Sometimes it works, sometimes not. But it does make holiday shopping a lot less stressful when we've taken into account for the extra spending and have it ready available when the time comes. It is also important for us to spend as much or more on giving during this season. We may go without or go with used or homemade gifts so that we can give to those who may not have anything for Christmas, and that's as important as saving for our own and family christmas gifts. If you'd like to save even more just don't celebrate it at all. Americans spent over $500 billion, yes billion dollars on Christmas last year. That's just one year. The money spent on wars through the years has been horrendous but doesn't eclipse holiday spending by much. Who would cry the biggest tear? I've used free e-card sites in the past and love them! http://123greetings.com is a staple for these types of things and has everything. Merry Christmas and keep saving! Great idea - thanks for sharing! I am a big fan of e-cards, and I'll definitely be checking out both sites.